All the kids are doing it. Not a good reason to start smoking; a great reason to start racing. As a young man in Calgary, Canada, Jackie Law's pals would ghost him on weekends to hang out at the track. They'd bring back loads of photos and video, inevitably piquing Jackie's curiosity. Soon enough he got the bug too and headed out to Race City in Calgary with his Civic hatchback, a B18C5-powered 5th-gen. Circa 2006 he was making more dough and ready to sink it into his hobby. 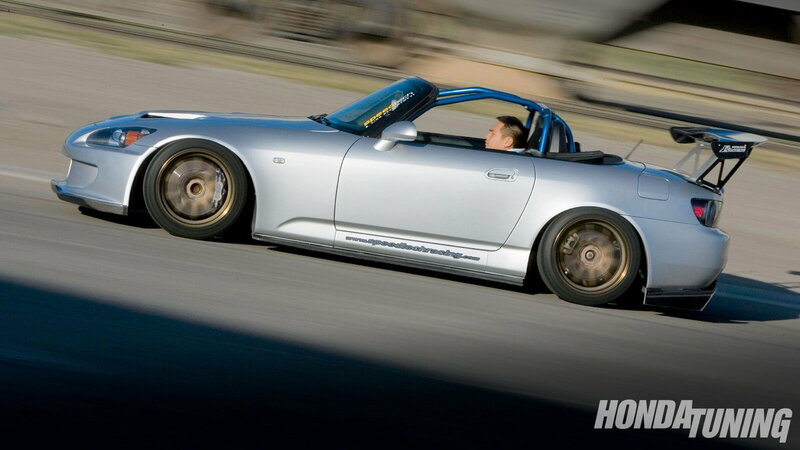 From the time he first saw an AP1, in a TV commercial, he wanted an S2000 of his own. He waited for just the right one to pop up and when it did, at a local dealership, he took it home. >>Join in the conversation about Jackie's Track Day Weapon right here in the forum. Jackie took his new S2000 out cruising that first night. "I couldn't believe I finally had the car. I was as happy as could be," Jackie gushed. 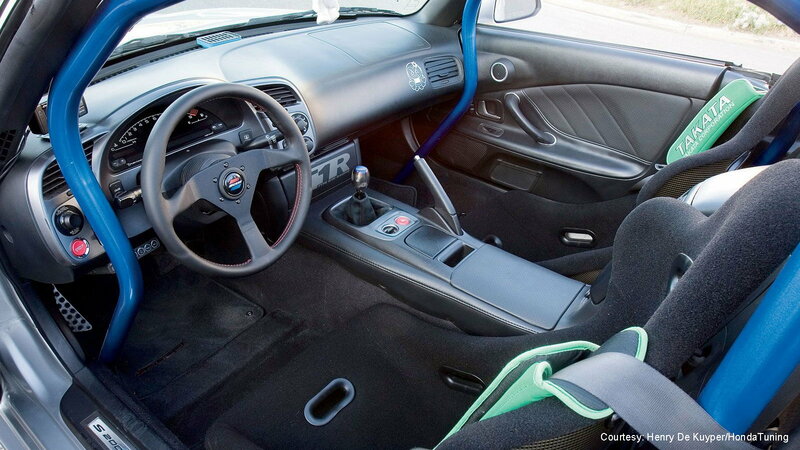 Before he took it anywhere though, Jackie swapped out the shift knob. That would set into motion a pattern of upgrades that continues to this day. By his count, his convertible has seen two intakes, three exhausts, two sets of wheels, three wings, two sets of skirts, four seats, and (of course) countless tires. The shift knob has been replaced too, though he says he kept that first one as a memento. "They say to do it right the first time. It's true, but 'right' only stays that way for so long," Jackie confessed. The latest lineup includes a super stiff suspension with T1R B-Max coilovers, a Spoon Sports rear lower arm bar and Spoon Sports x-brace, and J's Racing front and rear anti-roll bars. A T1R big brake kit stops his Honda and a Cusco six-point roll cage keeps Jackie safe. The quest for speed continues in the engine bay. Currently Jackie's S2000 sports a custom ECU, a carbon fiber intake, 70mm outer & 66mm inner throttle bodies, an SPL exhaust manifold, and a 70mm titanium exhaust system—all from J's Racing. Cooling is provided by a Koyo dual-core radiator with Spoon Sports thermostat, thermo switch, and radiator hoses. But don't blink because that could all change; Jackie has his eyes on a supercharger. Jackie says one of the most noticeable improvements he's made was the oversized J's Racing Type-I 3D GT rear wing. 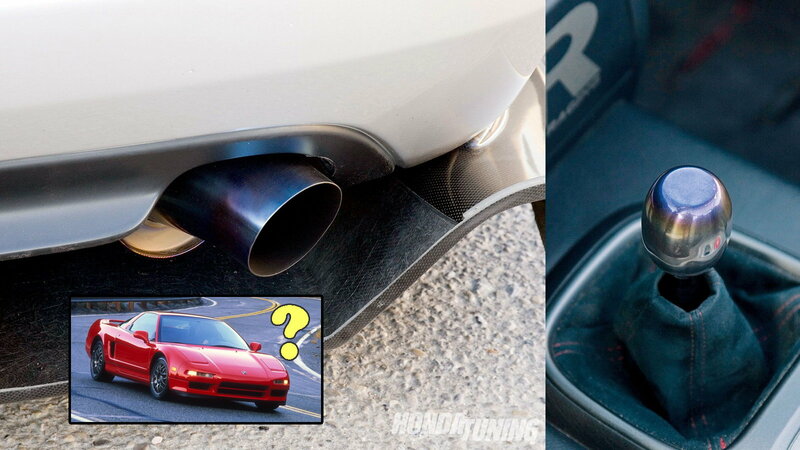 "There really is a big difference with the widebody version. I don't experience oversteer quite as much," he offered. One thing for sure, it turns heads. 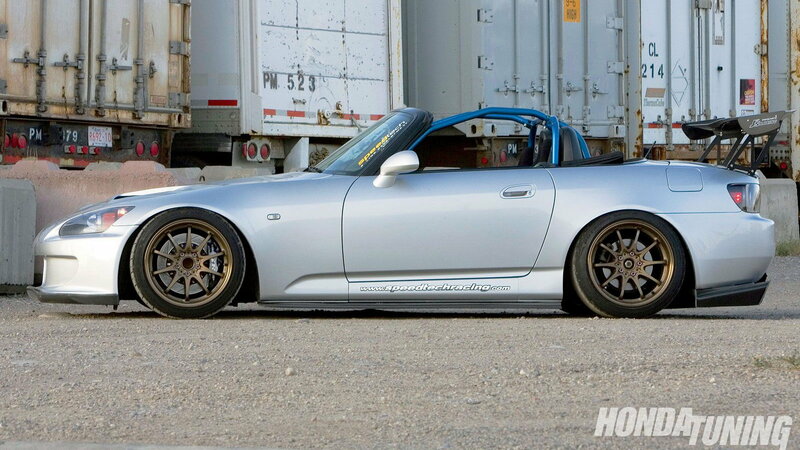 Jackie dailies his S2000 and recall a time when he and his buddies rolled up to a red light. He heard a guy in the crosswalk say "holy sh*t" and snap a quick pic of Jackie's ride. "It was nice I guess to have someone else appreciate the car," Jackie admits. The wing isn't Jackie's only body mod, far from it. 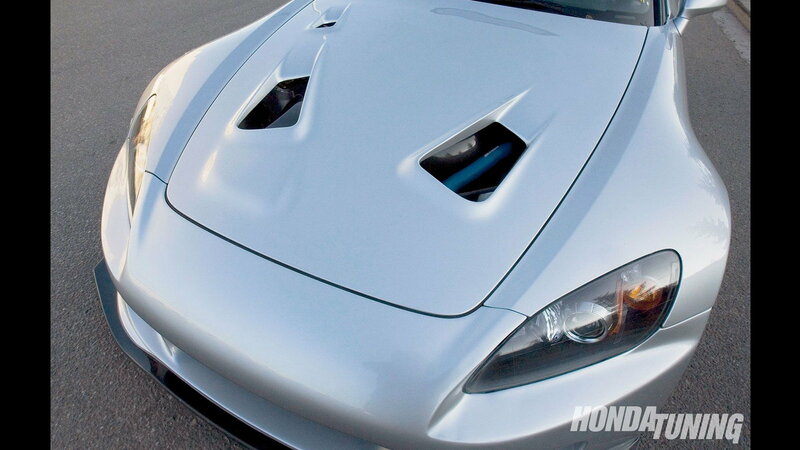 His S2000 wears a Spoon Sports prototype vented hood, an ASM FRP front bumper and 07 carbon fiber front lip, a Shine carbon fiber side diffuser, a Spoon Sports carbon fiber rear diffuser, and a Seibon painted carbon fiber trunk. He also pulled the front fenders and rolled the rears to clear the car's mean stance. Up in Calgary winter means six long, snowy months. Jackie uses the break to take his S2000 off the road and have all the nicks and dings from the previous six months use care of. He reports $1,500 usually covers the paint bill. Jackie spends every weekend he can out at the track with friends and family. "I race at the track mostly for enjoyment," he relates. A good weekend sees him getting 15-20 laps in before pitting. After years of work and $45,000 invested it's hard to envision what would make him give up his beloved S2000, though Jackie has an idea: an NSX. "If I find one I like and someone offers cash for my car then I might have to make that jump," he confesses. Love has its limits.